No electricity, no wifi – 48 wonderful disconnected hours. After our unfortunate attempt at camping on the top of Rona’s Hill, Shetland’s highest hill, for the Simmer Dim (summer solstice), my family (ie: my husband!) inwardly groaned when I suggested we go camping again, this time for the whole weekend. 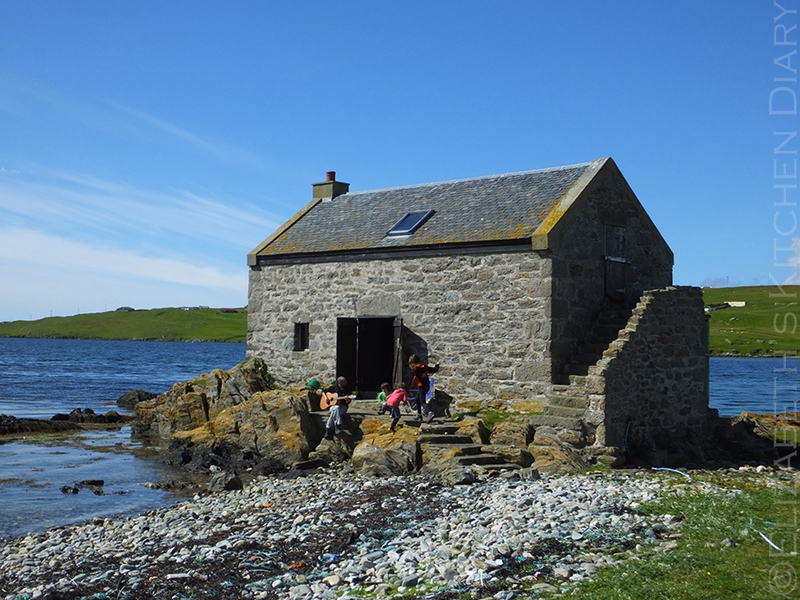 I didn’t bother checking the weather forecast, as where I’d planned for us to stay was indoors – in an old stone fisherman’s böd built in 1844. 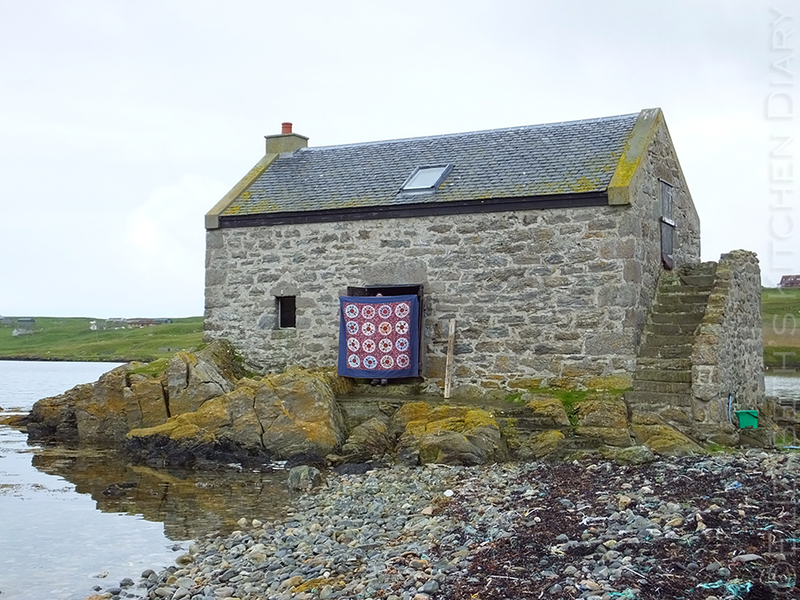 In Shetland, a böd was a building used to house fishermen and their gear during the fishing season, and the Shetland Amenity Trust run a group of nine of them throughout the islands. 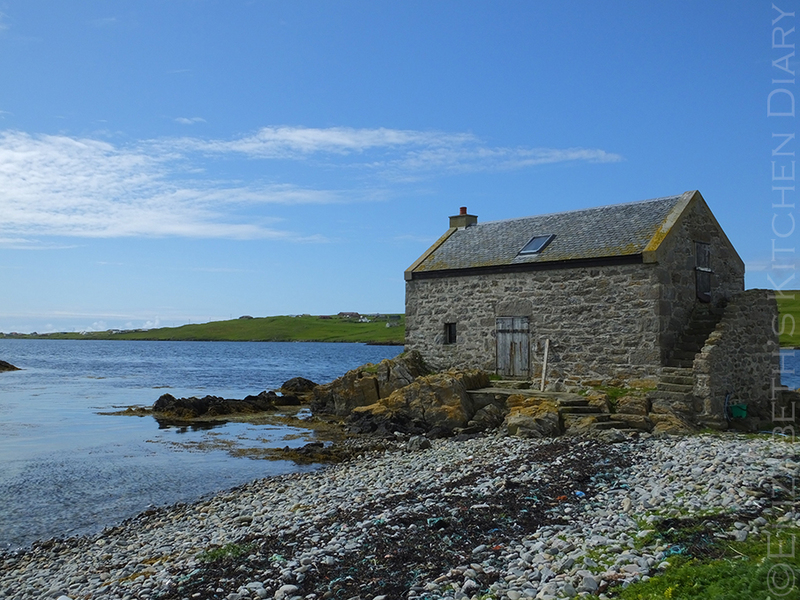 Our home for the weekend was the the Böd of Nesbister, the only original fisherman’s böd in the series, located in at the end of a low, rocky peninsula in the picturesque Whiteness voe on the west mainland of Shetland. After packing the boot of the car with provisions (absolutely and utterly no screens were permitted! 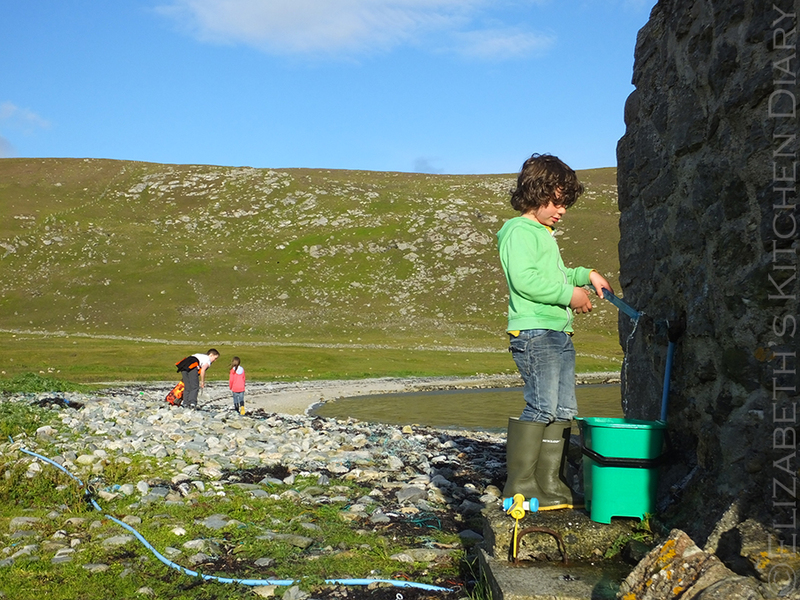 ), picking up firewood and kindling from our village shop and collecting the key from the Shetland Amenity Trust in Lerwick, we arrived at our destination. It’s only a short walk from the car park area (you need to open and close two sheep gates to get there) across the pebbly beach to the böd. 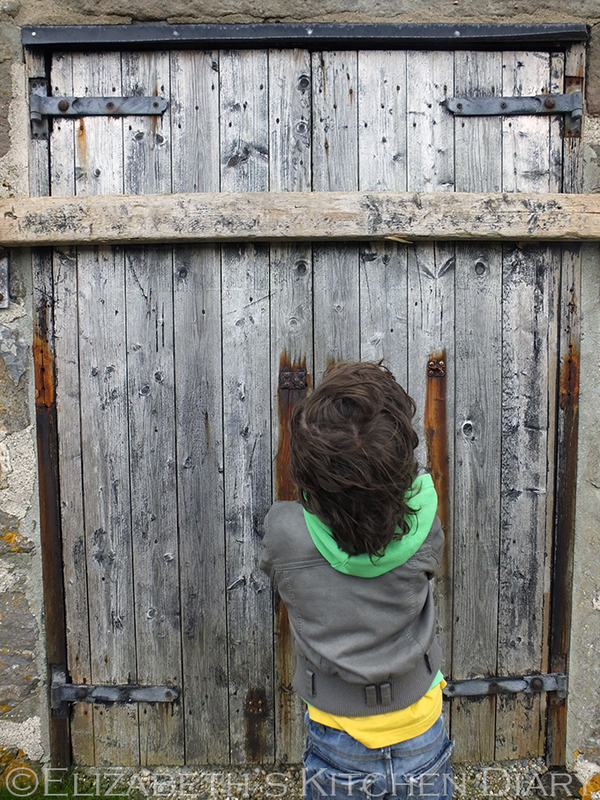 The front doors of the böd are protected from the elements by a set of external doors held in place with a large piece of wood. There was something intensely satisfying about removing this plank and opening the doors to our new weekend home. 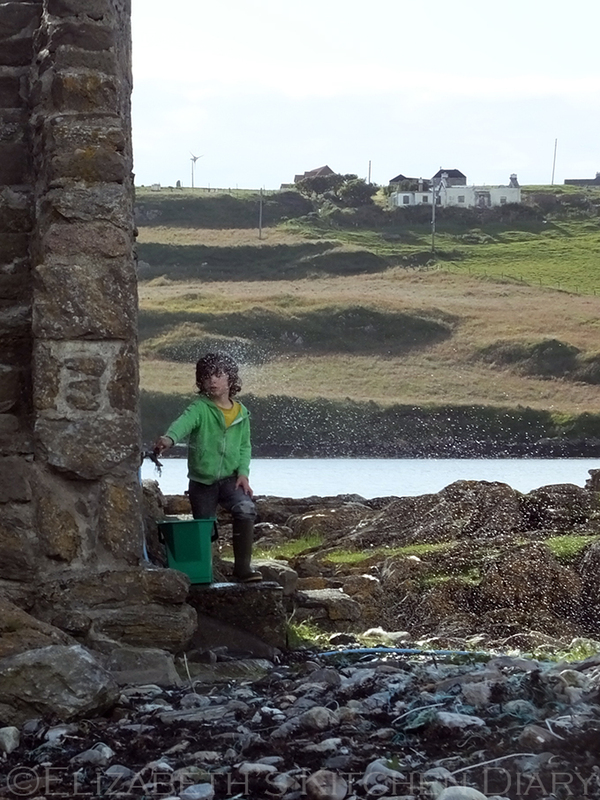 The building itself is a solid stone structure with very thick walls protecting you from the sea. During rough weather the böd itself can become an isolated island. As such, there is only one small window downstairs facing away from the open sea. There are bags of peat available for £5 each, and previous occupants had left a good supply of driftwood from the nearby beach. 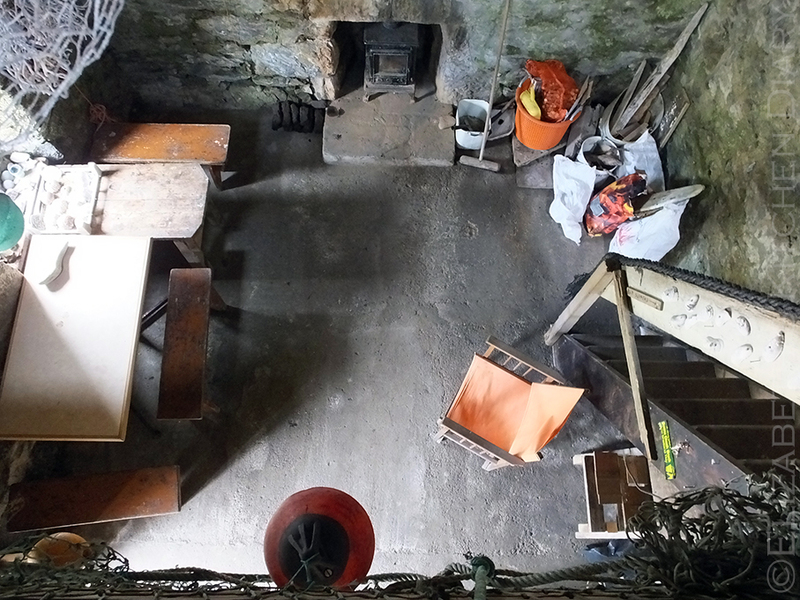 The kitchen area consists of a small solid fuel stove, two tables with benches and a large makeshift wooden table with a wooden board hanging above containing plenty of nails for hanging things. I really enjoyed unpacking all the food and cooking items and making this area my own. 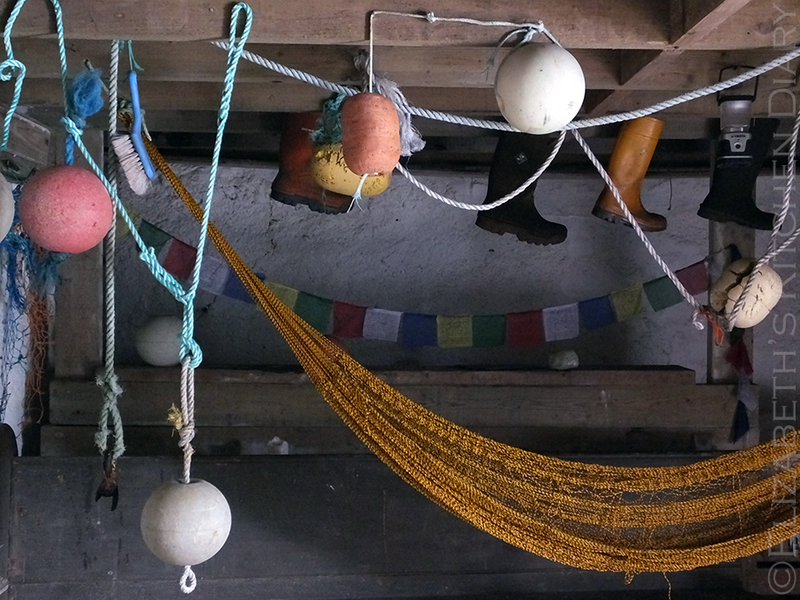 Looking towards the back of the ground floor we found a hammock swinging from the ceiling, a collection of wellies and some fishing buoys – all of which would have washed up onto the beach. My children practically lived in this hammock when they weren’t playing outside! 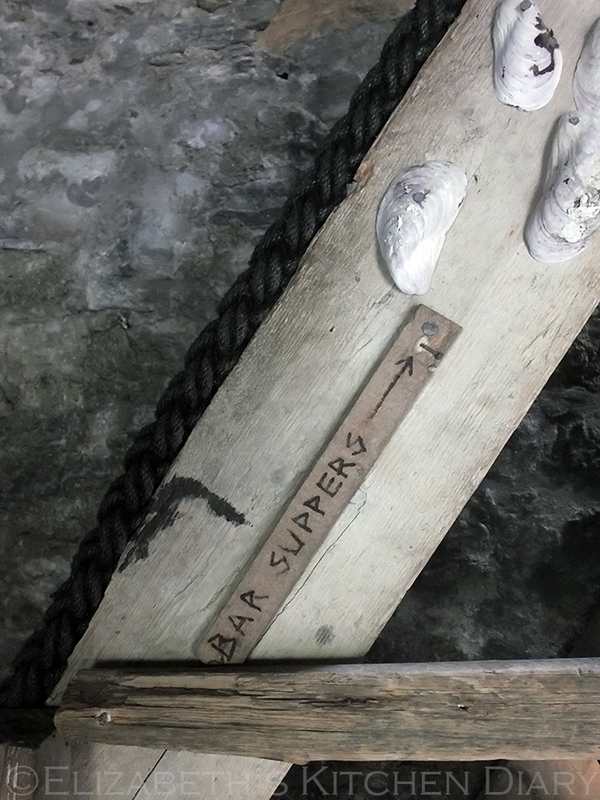 Again, there are plenty of nails in the wooden boards of the ceiling for hanging lanterns and supplies from. 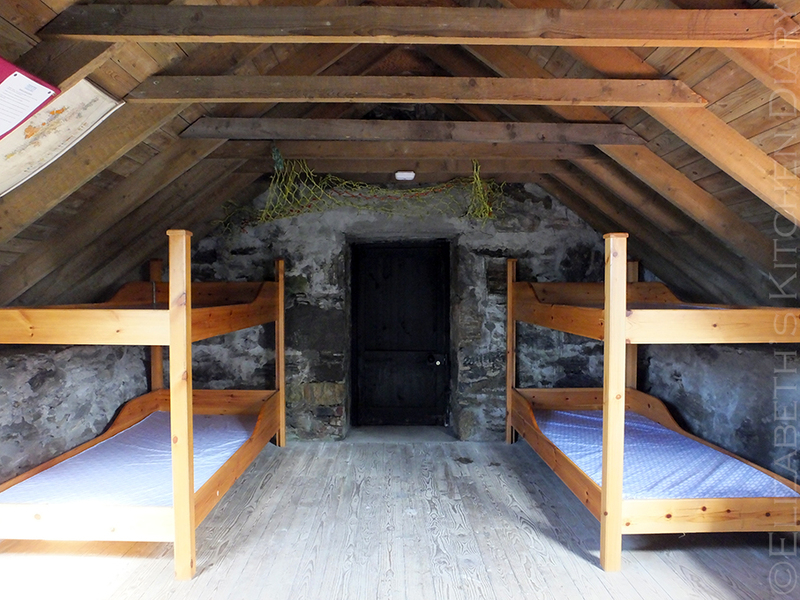 Up a narrow, steep set of stairs with a thick old mooring rope for a banister we found two sets of bunkbeds. 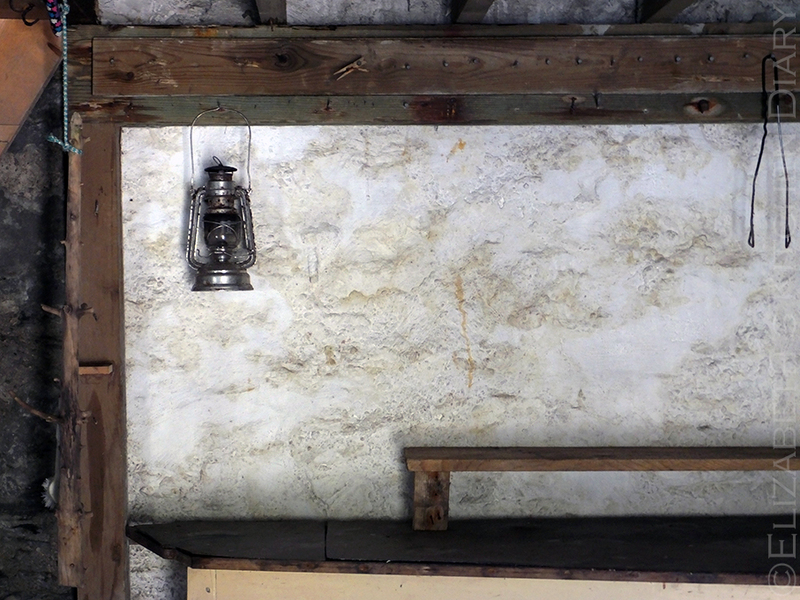 There is another door up here leading outside and two skylights illuminating the room. Several art installations hang from the ceiling overhead. 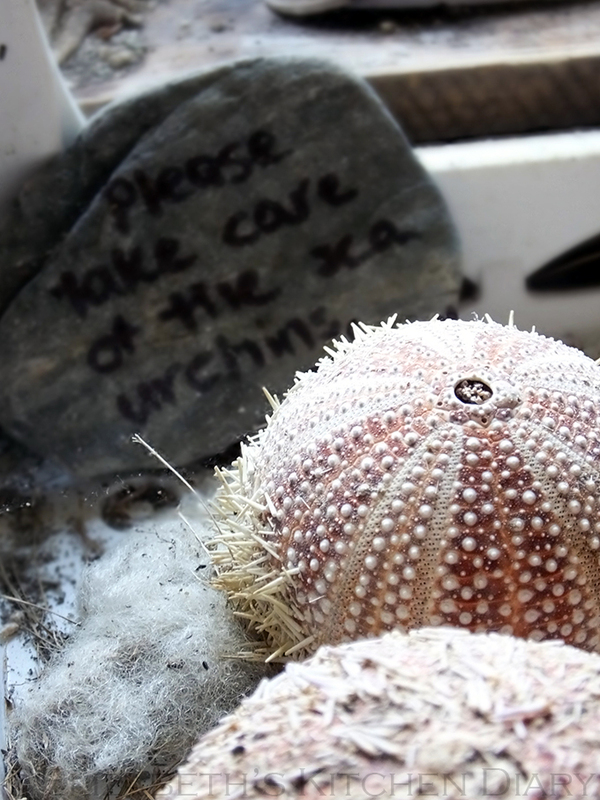 There is quite a collection of interesting things left by previous occupants from animal skulls, paintings and a collection of sea urchins with strict instructions to care for them. After unpacking it was time to get the dinner on. 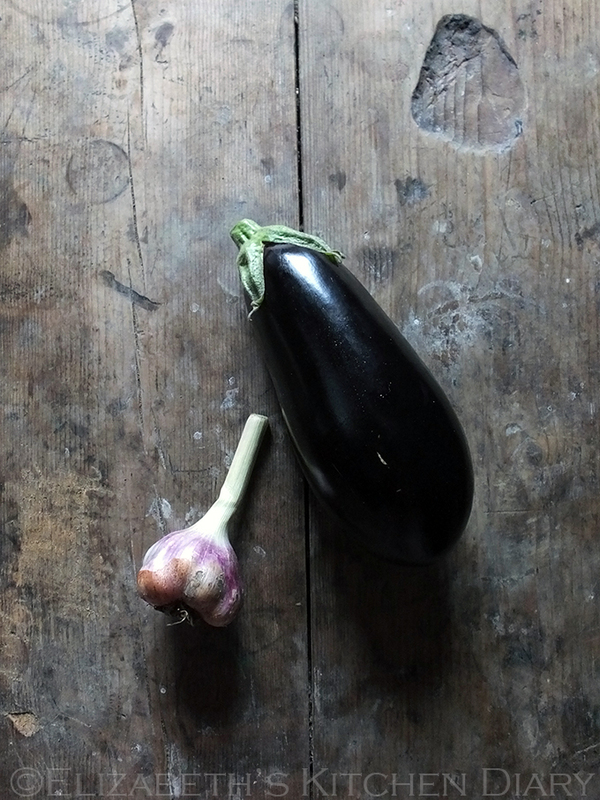 As it was Friday our Turriefield vegetable box had arrived and there was a Shetland-grown aubergine in it, as well as a gorgeous beremeal loaf from The Quernstone. 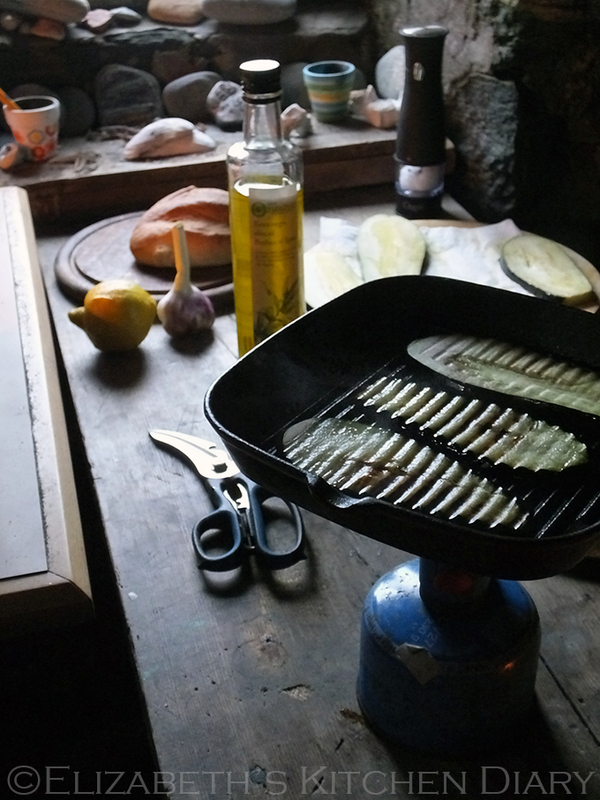 The light from the only window downstairs was so incredibly moody I just had to take a few food photos! Dinner that night was simple. Tinned tomato soup with bread, olive oil and balsamic vinegar for the children, while my husband and I enjoyed some leftover defrosted Persian rice with tahdig from when his mother had been visiting recently with grilled wild boar sausages from the Scalloway Meat Company and grilled aubergine washed down with some Island Bere from the Valhalla Brewery in Unst, Shetland. 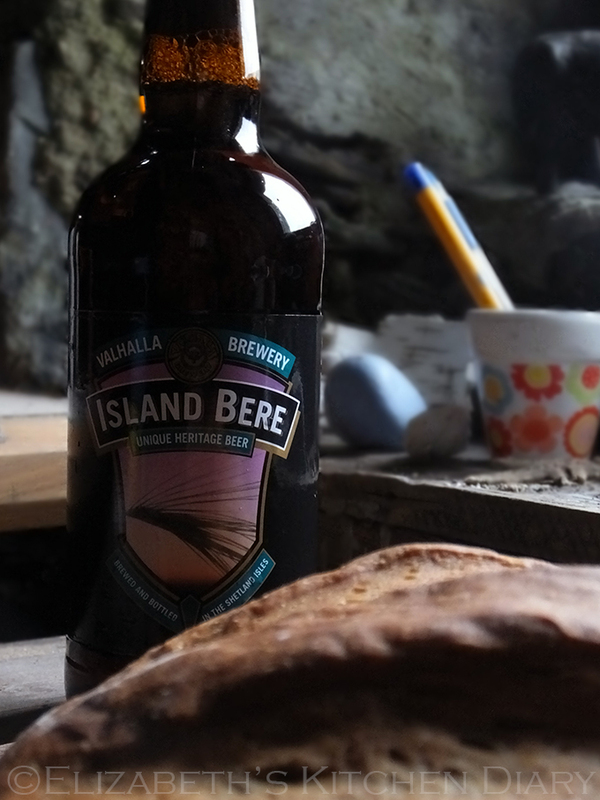 This ale is made from beremeal (my new favourite ingredient!) and complimented our meal perfectly. 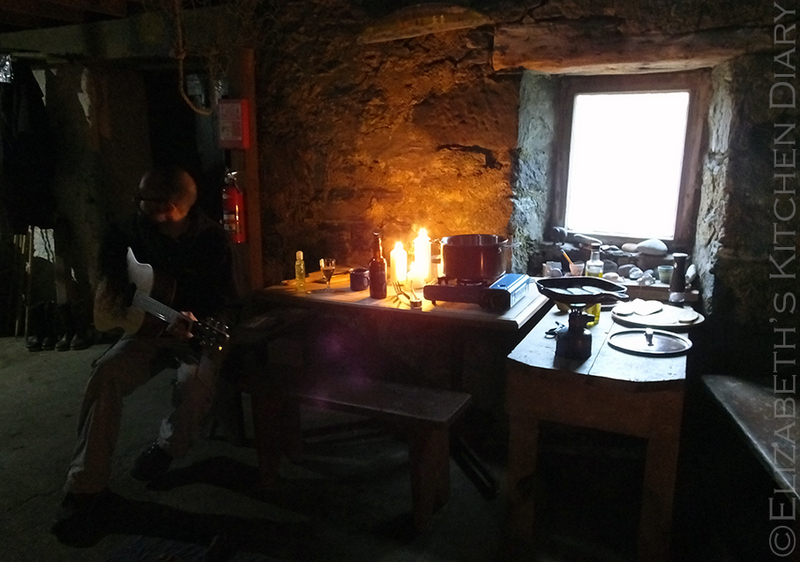 My husband entertained us on his guitar, and the fire was roaring in the small cast iron stove, warming up cold fingertips. Perfection. 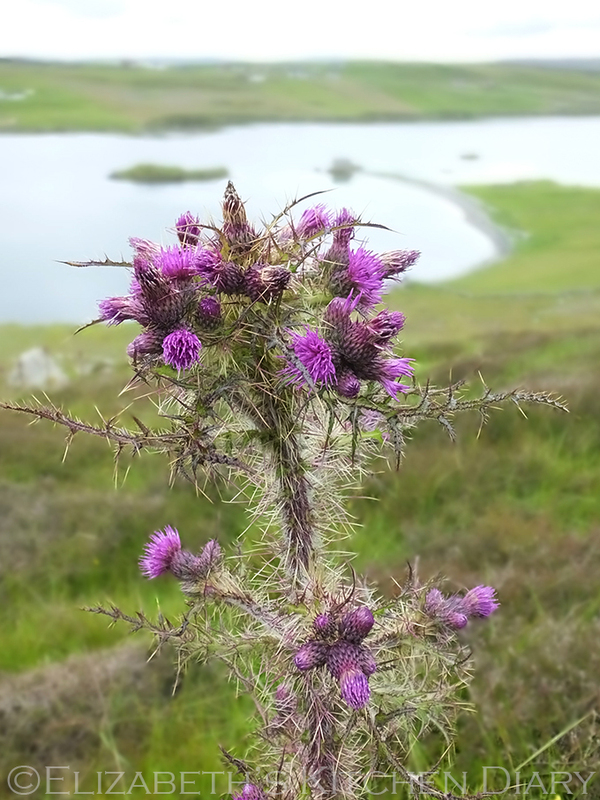 I was really surprised at the number of wildflowers I spotted on our hillwalk: marsh thistle, bog asphodel and heather (pictured above, left to right), self-heal, common butterwort, common marsh-bedstraw, eyebright, meadow vetchling, tormentil and yellow irises, to name a few. 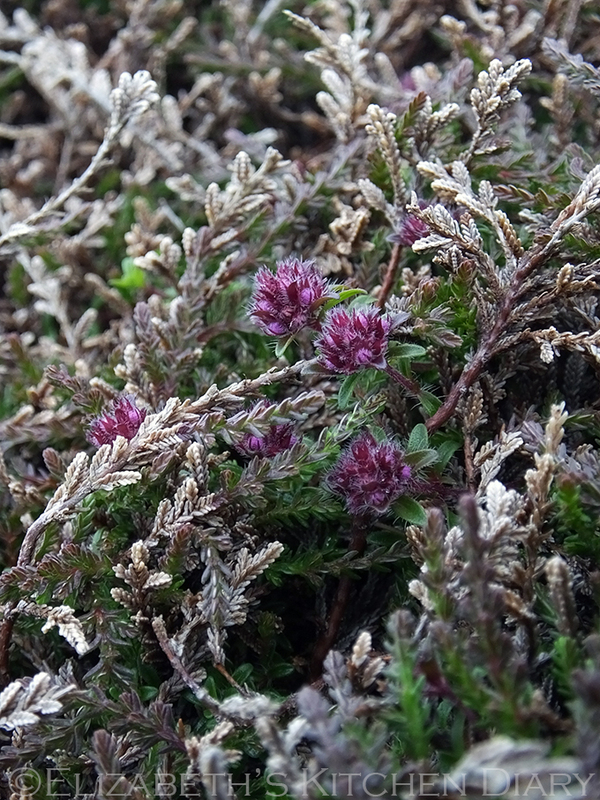 By the time we returned to the böd the clouds were beginning to clear and the sun was shining. 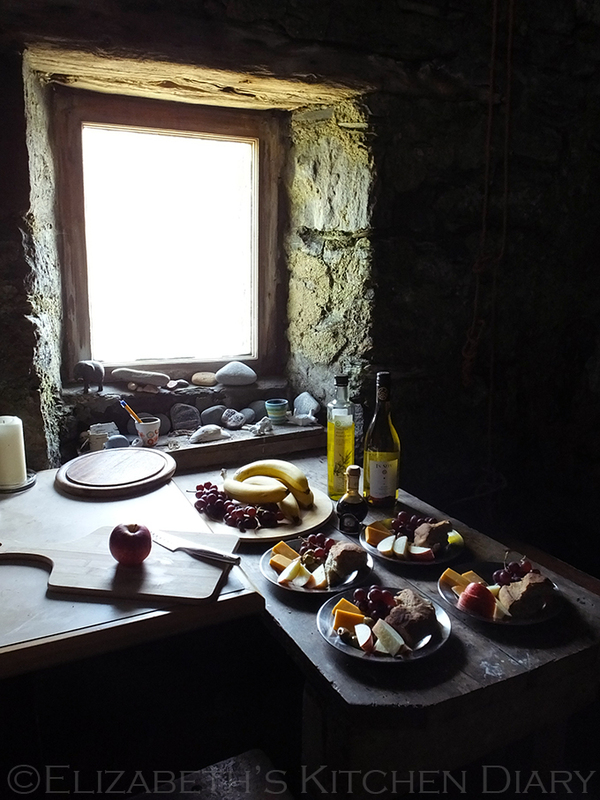 The children played out on the beach blowing extra large bubbles, my husband sat and basked in the sun and I got the lunch on – a simple lunch of leftover beremeal bread, Orkney cheese, olives and fresh fruit. I enjoyed working in this kitchen space so much! Look how beautiful everything is with that light! I felt like I was in Pillars of the Earth by Ken Follett. 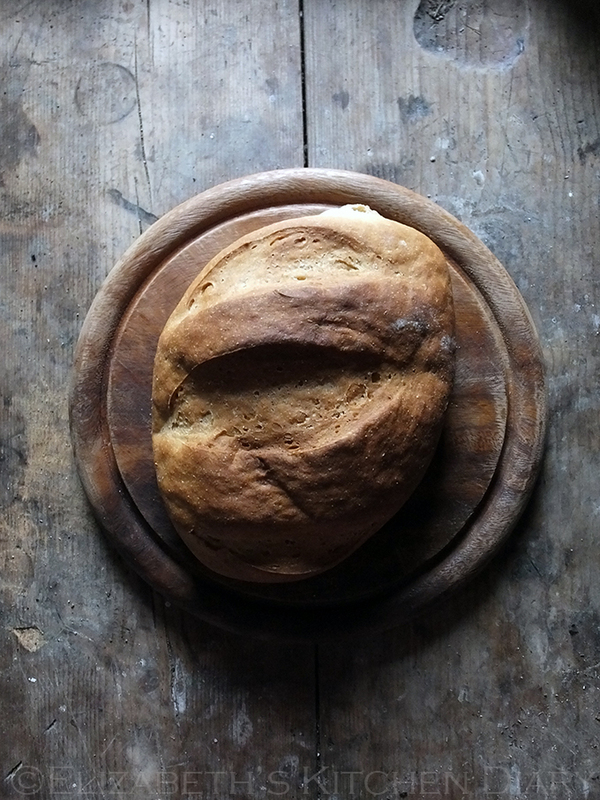 All that was missing was some mediaeval horsebread! 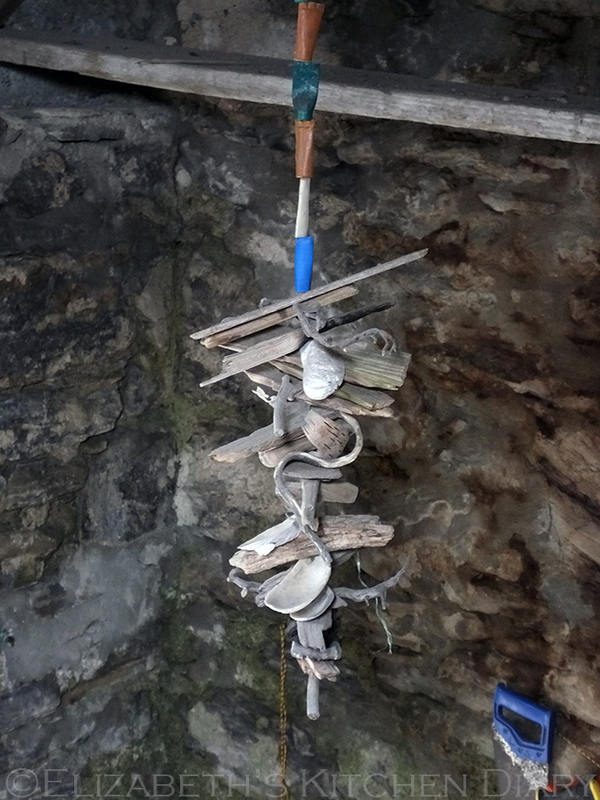 The rest of the afternoon was spent sunning ourselves on the stone steps outside our front door, playing on the beach collecting treasures, watching the terns feed in the sea and generally doing nothing. It’s been an absolute age since I’ve done nothing and it was bliss! Our youngest discovered that if he put the plastic bubble tube over the water pipe, it filled up with water and the pressure would launch it several metres away. By this time we had friends join us for the second night, and it was time to get the BBQ on! 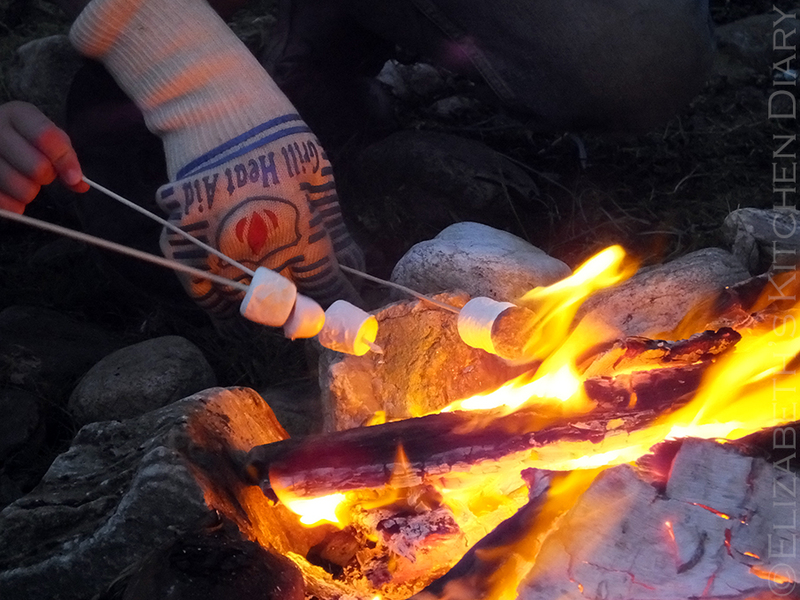 Our friend brought BBQ skewers and Grill Heat Aid gloves which made roasting marshmallows in the absence of long sticks possible! The next morning dawned bright and clear, and we were awoken by the sound of birds pecking at the windows. A hearty breakfast of porridge set us up for another day of adventuring, which, to be honest, mostly involved sitting around in the glorious warm sun doing nothing again. 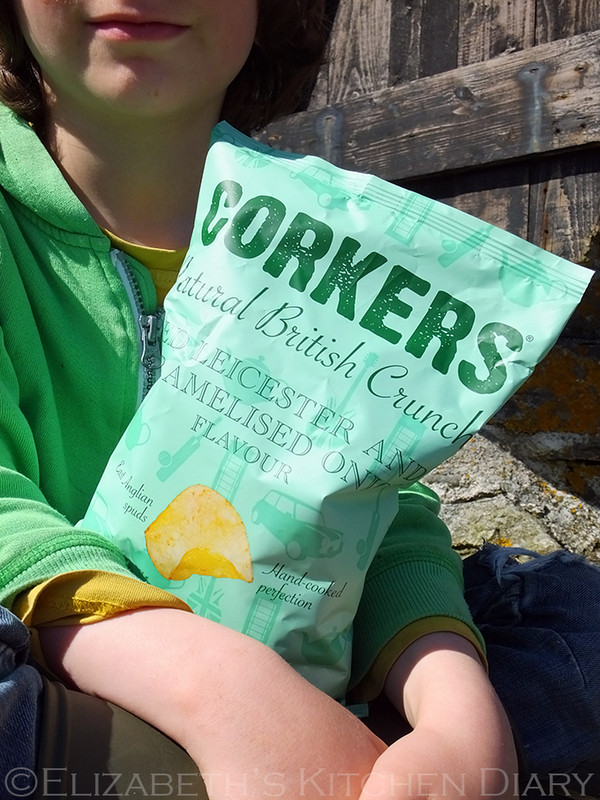 We’d recently been sent a case of Corkers crisps in assorted flavours to try out, and our family is a firm convert to the deliciously thick, crunchy texture and gorgeous flavours (from standard sea salt to sweet Thai chilli and Gressingham duck & hoisin sauce – my favourite!). 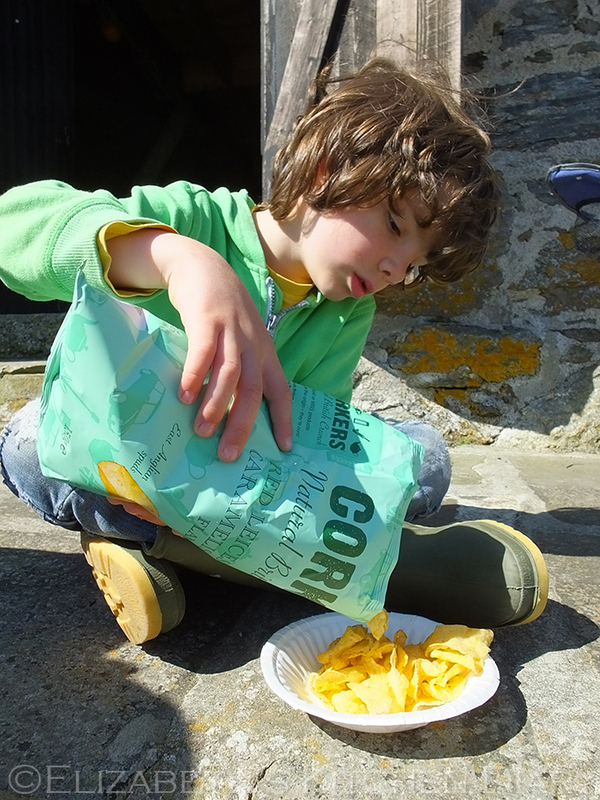 Our local village shop stocks Corkers now, so we snacked on a bag while basking in the sun. The bag didn’t last long! 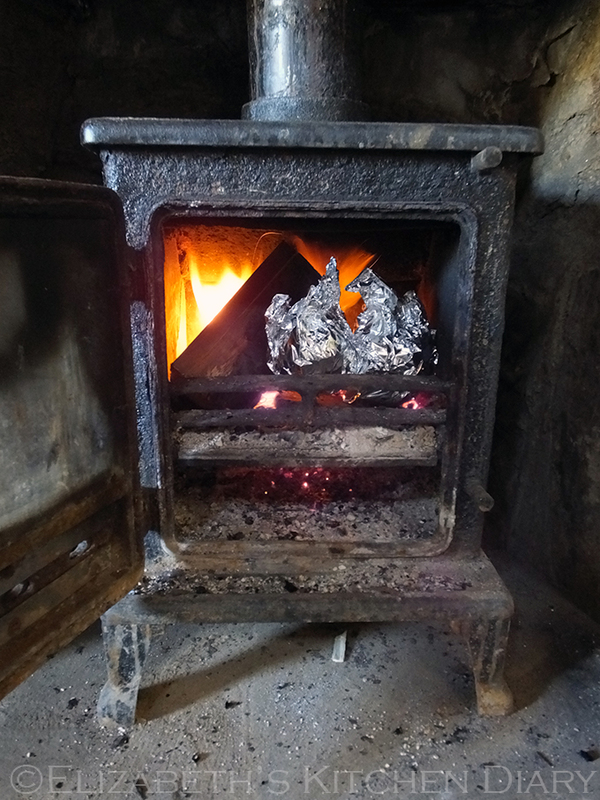 I also baked a batch of chocolate orange campfire cakes, improvising with the solid fuel stove I had on hand. They were so delicious! My husband volunteered to do the washing up. 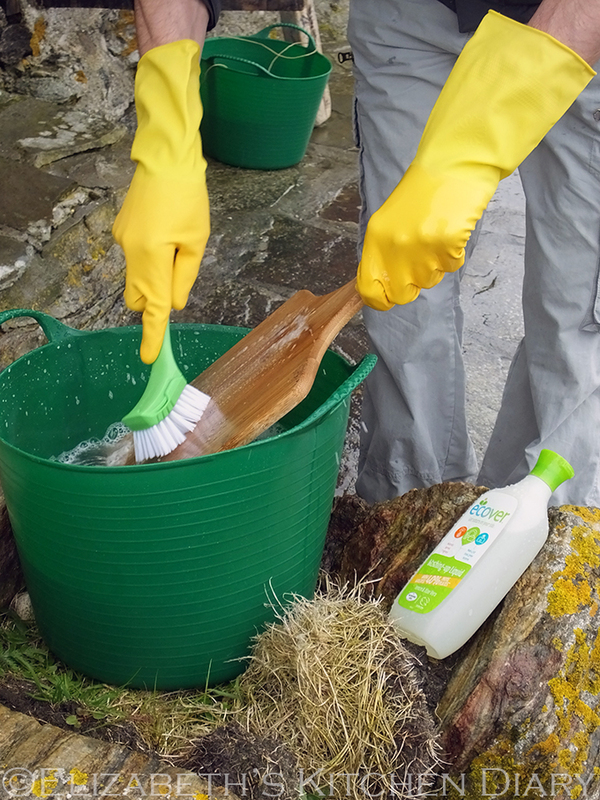 Here we tested out another product we’d been sent to review – the new Ecover Platinum washing up liquid and scrubbing brush. It only stood to reason that since we were dumping our waste directly into the sea that we be as environmentally friendly as possible. 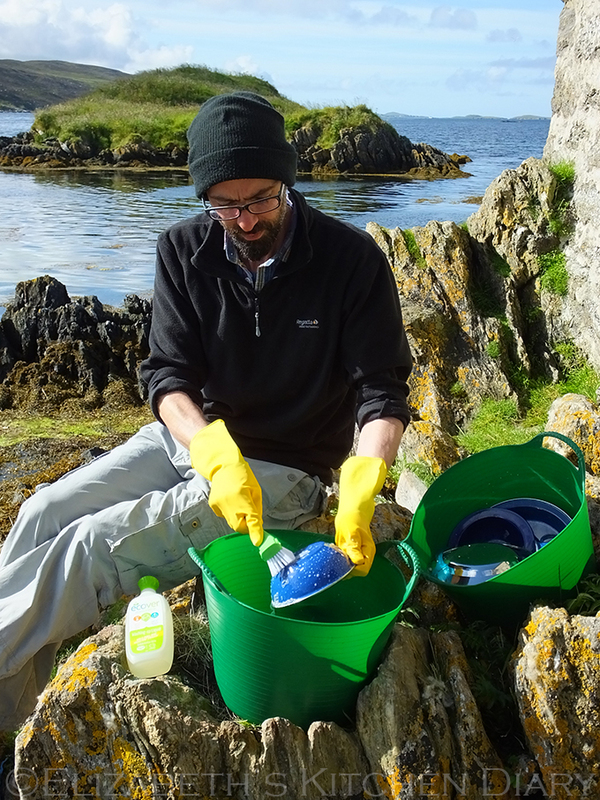 We were quite literally dumping our waste in the sea – there is a chemical toilet in a small shed around the corner of the building. An environmentally friendly compound added to the tank hurries up the decomposition of our waste before we pour it directly into the sea – the least squeamish member of our party was elected for this task – me! Anyway, the dishes! 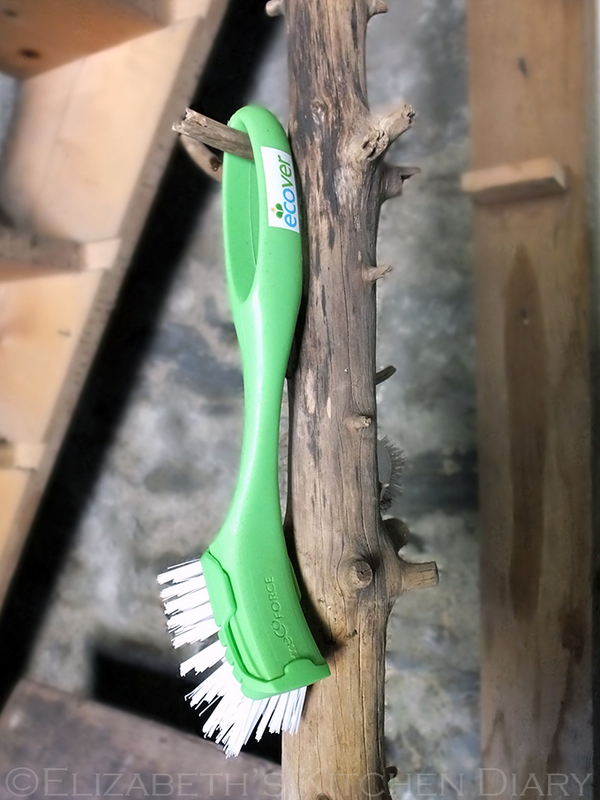 Ecover’s pioneering new 99.8% plant-based formula really got the job done and the scrubbing brush was really effective for washing the porridge bowls. 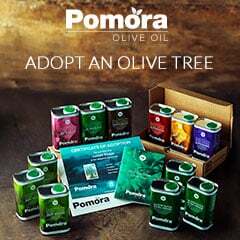 You can find Ecover products in most supermarkets. Speaking of keeping the oceans clean, for some hours we’d watched something blue floating towards the shore as the tide ebbed and flowed. Just as we were about to leave we noticed it had finally made it to shore, so we went to investigate. It was a plastic water bottle from South Africa! 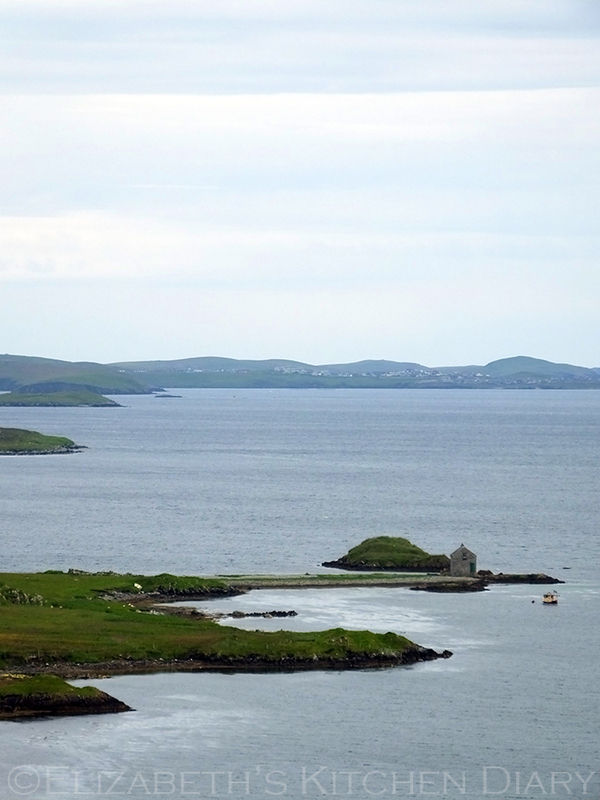 Shetland is located at 60 degrees North while the southernmost tip of South Africa is at 32 degrees South! That’s quite a distance for litter to travel! Food for thought? Nonetheless, it was an absolutely fantastic weekend away from it all, and we have decided, as a family, that we’re going to do this every summer. 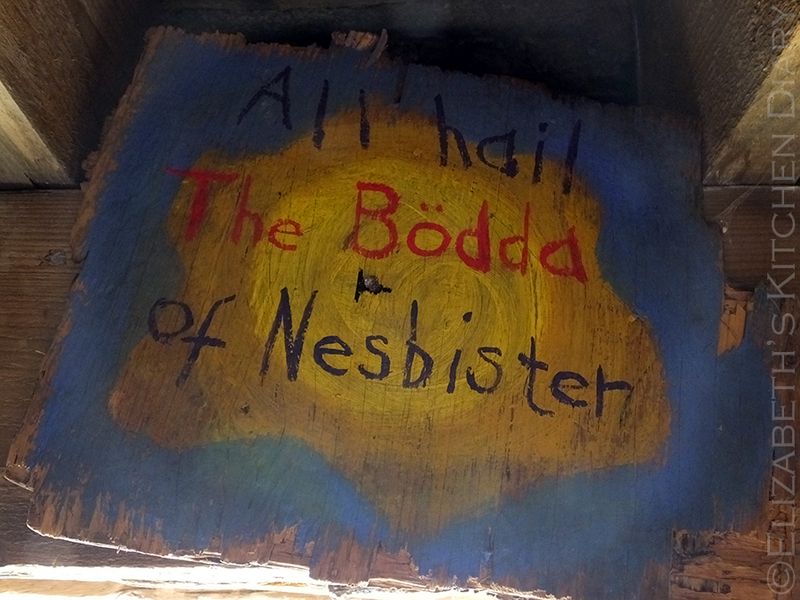 The Böd of Nesbister has become our official summer cottage, and it only costs £25 per night to rent the entire place exclusively! We were all very sad to leave it after the wonderful weekend we had. 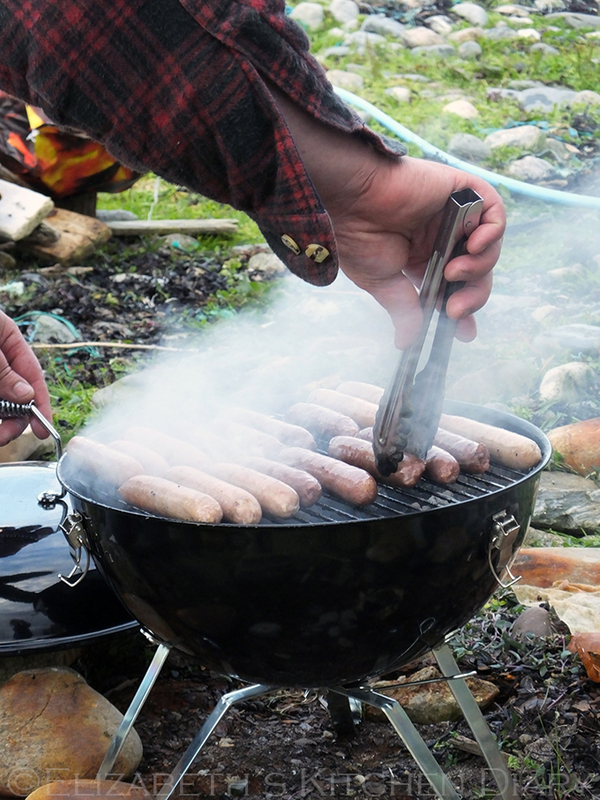 To find out more, visit the Shetland Camping Böds website. 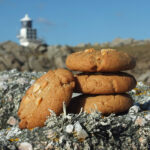 Elizabeth’s Kitchen Diary received samples from Ecover and Corkers, but paid for this holiday out of her own pocket. All thoughts and opinions expressed are our own. This is not a paid post. What an wonderful place to holiday. 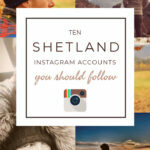 I have always wanted to visit the Shetland Island! Love you pics. Looks lke you had gorgeous blue sky days, I hope to visit one day when my children are older, perhaps with another family for companionship. 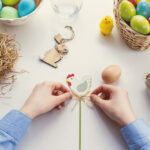 Stopping by from Coombe Mill blog hop. Thanks for sharing your experience. What a wonderful relaxing weekend. 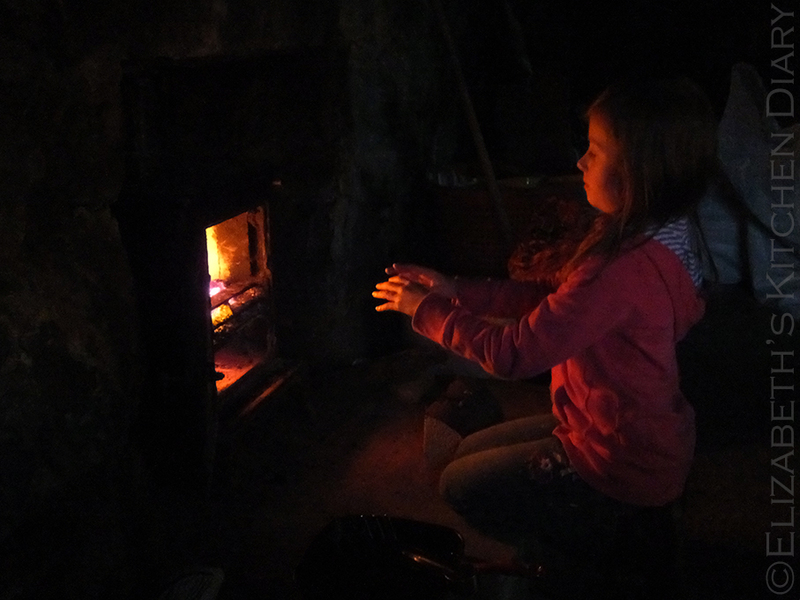 It must have been so refreshing to switch off and explore the more natural things in life. It looks beautiful! Your trip sounds amazing. The bod and the views are stunning. It’s a perfect place to spend a few days away. I love it. What an idyllic spot to stay, and you describe the weekend so well that I imagine there is a queue of people fighting to stay in it! Gorgeous images. How could they be anything less with your skill, eye – and that light! 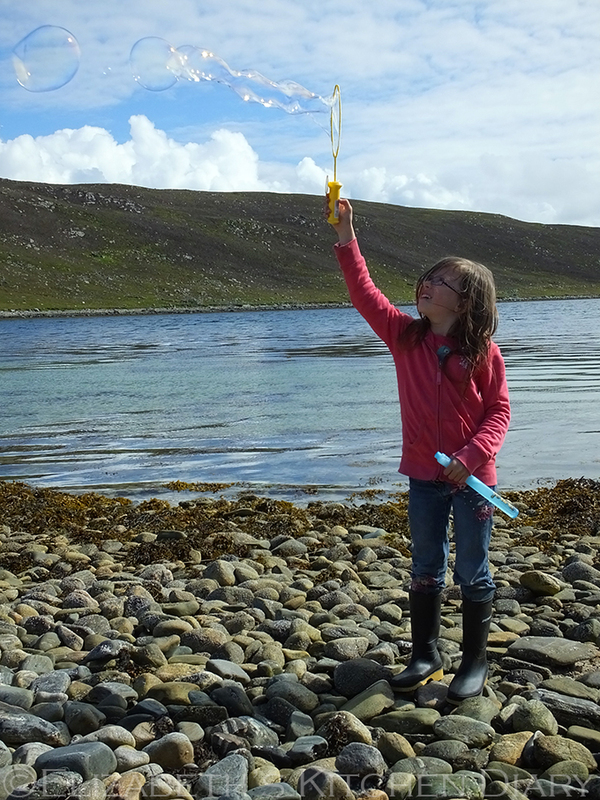 You know how much I adore your Shetland adventures, This may be my favourite yet, what a wonderful place the camping bod is. I think it is the proximity to the sea and remoteness that makes it so appealing. How you managed those delicious looking dishes I do not know but you certainly turned it into a cozy summer home for you all and a bargain too. Thank you for sharing with me on Country Kids. 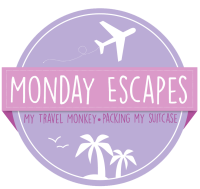 WOW – this is what I call a real adventure – I think it looks even more fun than camping! The setting is so stunningly beautiful! £25 per night is an absolute steal! You were brave not taking any screens with you – bet it was lovely to truly disconnect though. 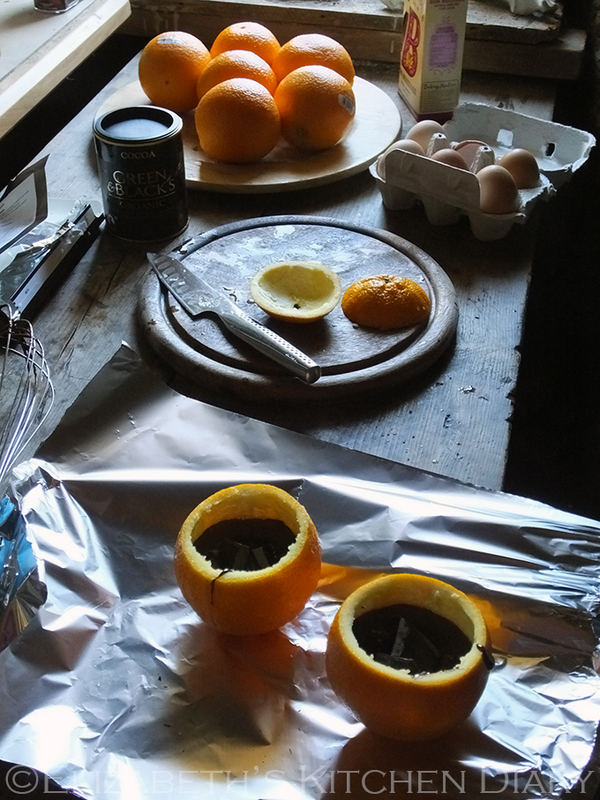 I’ve often seen those choc orange cakes on pinterest but never seen anyone make them in real life – they look delish! 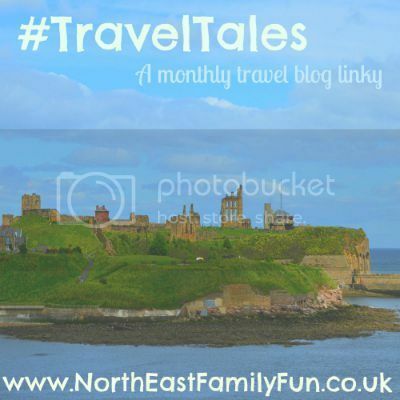 Thanks for linking to #traveltales – it’s been lovely to read this post. WOW – your travel pieces are so amazing. I just want to visit immediately. No wifi, no gadgets and gorgeous light in a magical bod. Those chocolate oranges, that hammock, the peace. Seriously amazing writing and pictures. What a wonderful place to stay, not only because of the landscape itself, but also the house. So original and special! 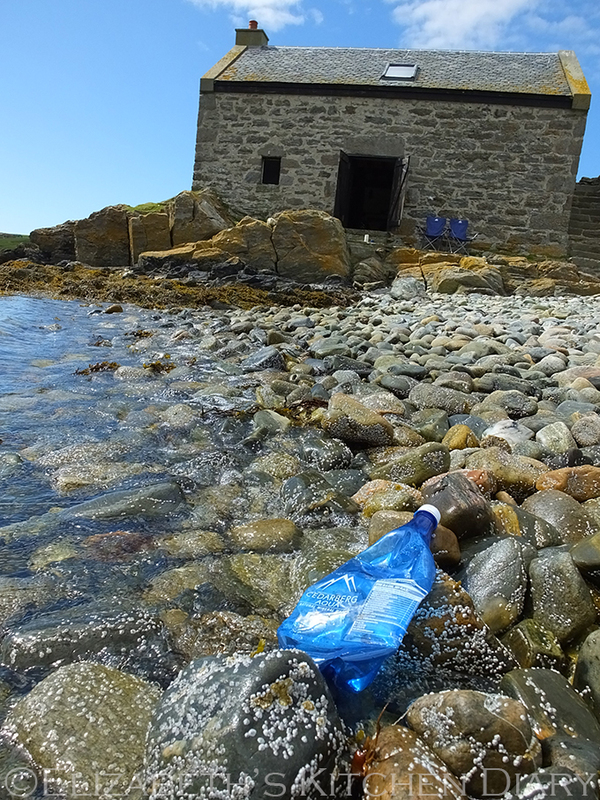 And if this blue bottle came all the way from South Africa, it was indeed a long long way! Wow, amazing photographs and great write up. I was loving the idea of staying there until you mention having to dump the chemical waste, that would definitely not be my job!! It looks idyllic and I love your outdoor washing up technique. You need to google “Here Comes Bod” on YouTube to watch my favourite kids TV show from the 70s!! What a great place, and I just love your atmospheric photos! 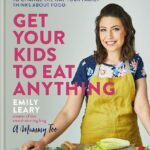 I knew as soon as I started reading this post that a Bod would be right up my street! Your stay sounds absolutely idyllic although I’m sure it could have been a somewhat different story if the weather had not behaved itself. 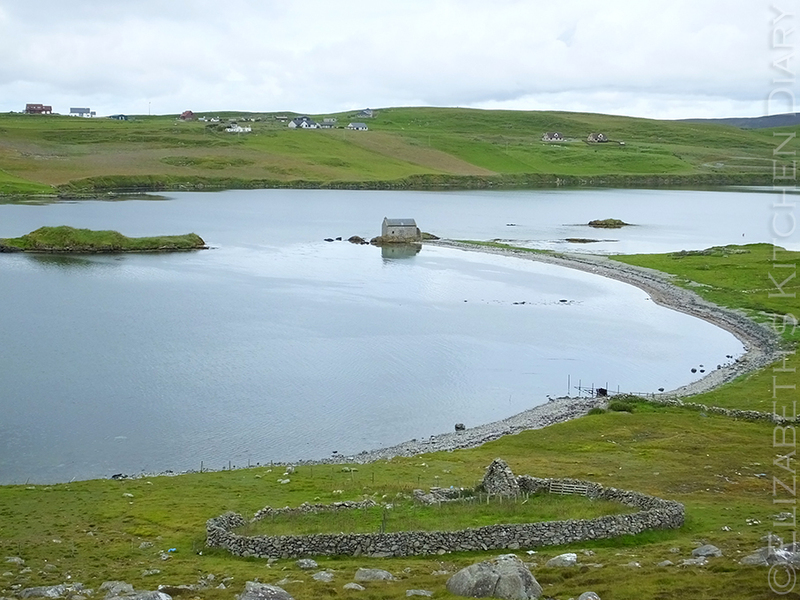 Have now added “Spending a night in a Shetland Bod” to my bucket list. Elizabeth, I love your posts. What an adventure and well done for converting your husband to camping after the previous disaster! What a fabulous place it is and you’ve bought the whole place and weekend to life brilliantly. Beautiful photos. You are very talented. And I quite like the sounds of a few days away with no wifi! What a lovely place Elizabeth. I would love to be unplugged for the weekend and really get away. With all our modern gear & camping equipment you can be really comfortable, but in reality it must have been a really hard life living there. 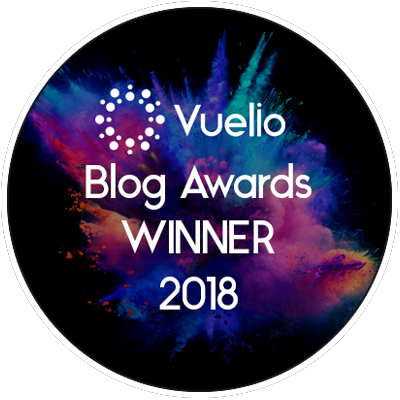 I was really curious about the ‘Bod’ experience so it was great to read this-thank you! Lovely! We saw a lot of the Böds on our travels and if we hadn’t had the Thunder Truck I think it would have been great to stay in one. This particular böd looks like it’s in a fabulous location and you had great weather for it by the look of it. Sometimes I think it’s best not to know. 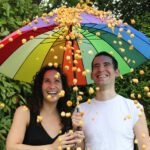 Let the weather be a surprise, if it forecasts sun that never shows then you are in for disappointment from the beginning! 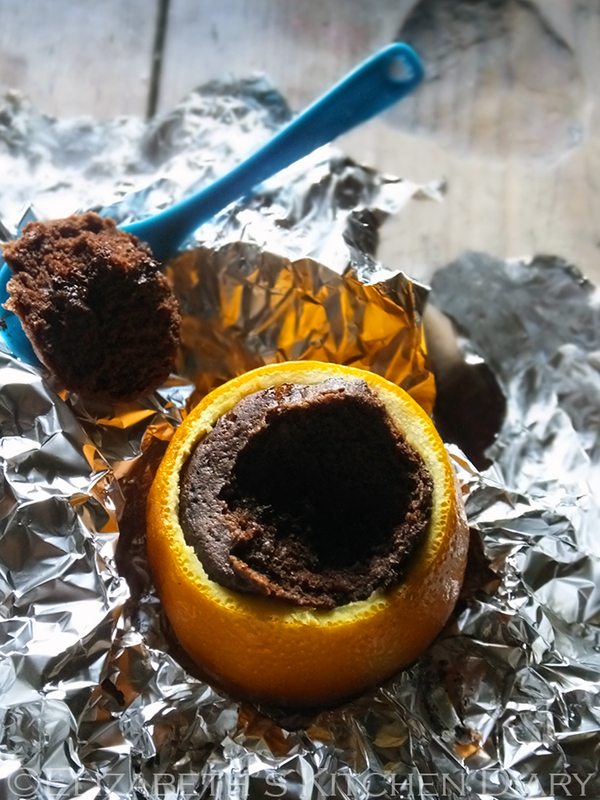 I love the idea of the choc orange cakes, that’s genius! Yummy! 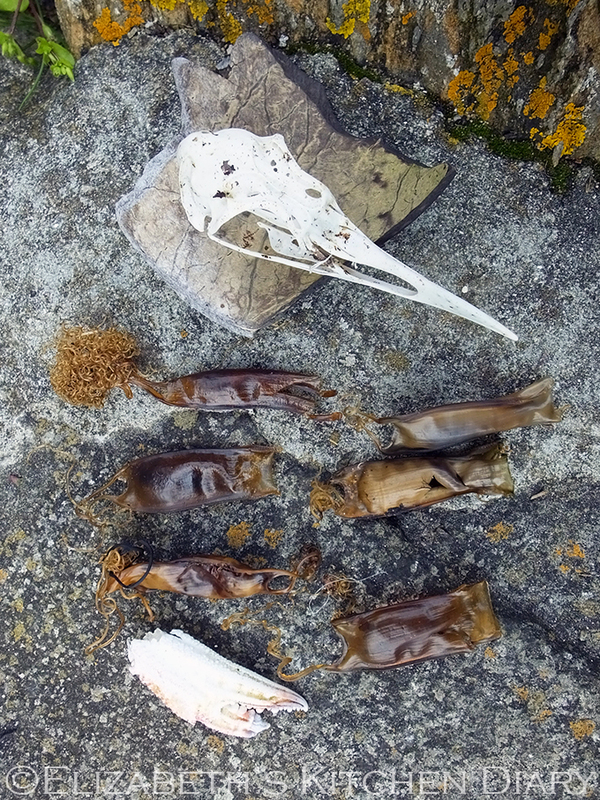 I became a bit obsessed with with the flotsam and jetsam on some of the western beaches, seeing where all the odd bits of litter had washed up from. 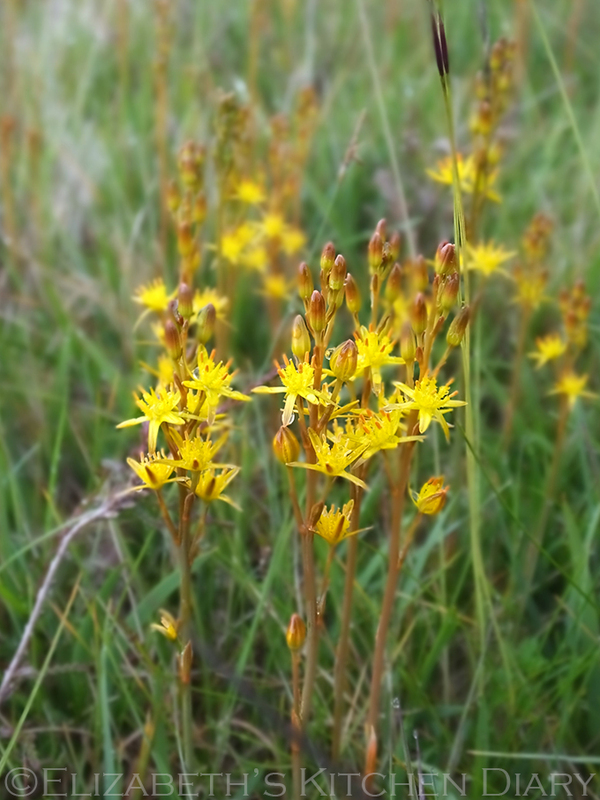 I never found any as far a field as S Africa, most were more predictably Nordic or Russian. It’s so very sad. 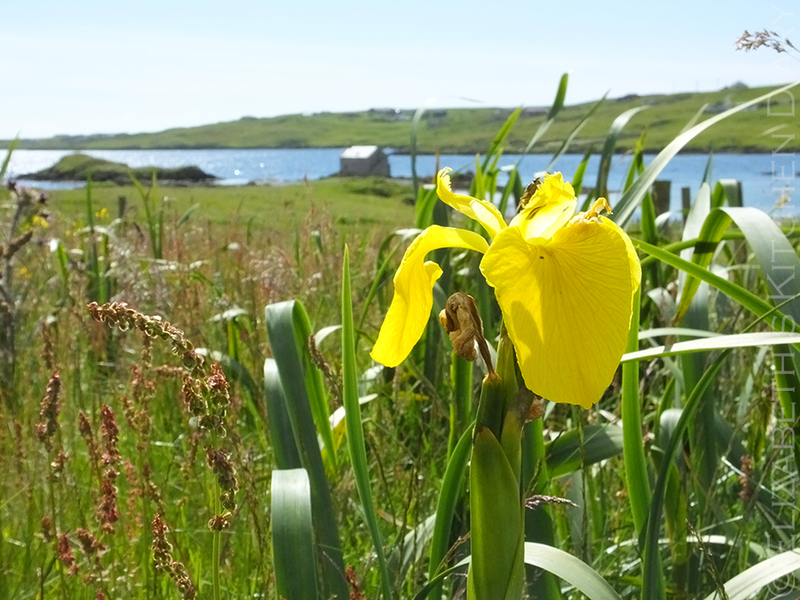 Rachel recently posted…12 Ways Shetland Will Amaze You! Wow, what lovely images. It looks like a gorgeous place. I loved reading this post. It looks like such a cosy place to stay, I’m not sure how I’d manage with no electricity and no wifi though. 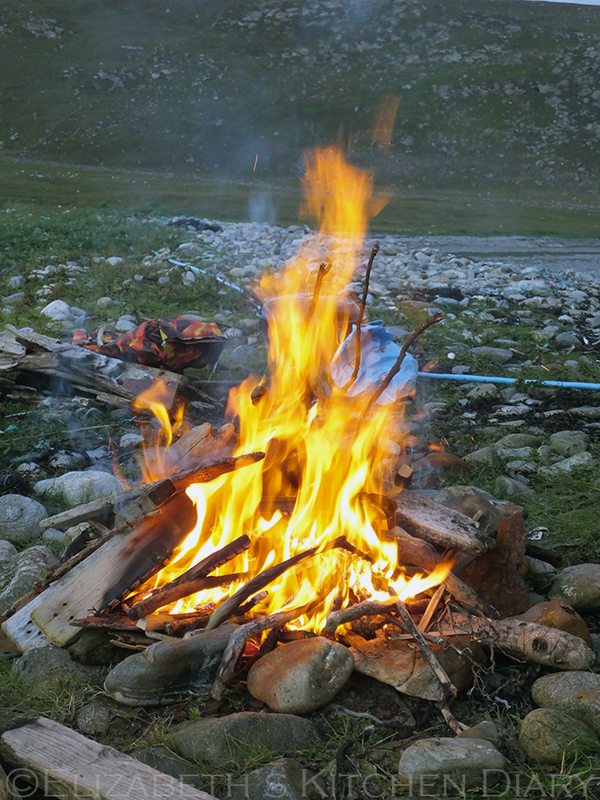 Sounds like you had a great time, love the idea of campfire cakes.